Polycom VVX Webcam | 8x8, Inc. The Polycom VVX Webcam is an optional HD webcam for VVX 501 and VVX 601 phones. The webcam can be used to make instant video calls, and joining video conferences with other 8x8-managed video endpoints, and also works with 8x8 Virtual Room for multi-party video calls. 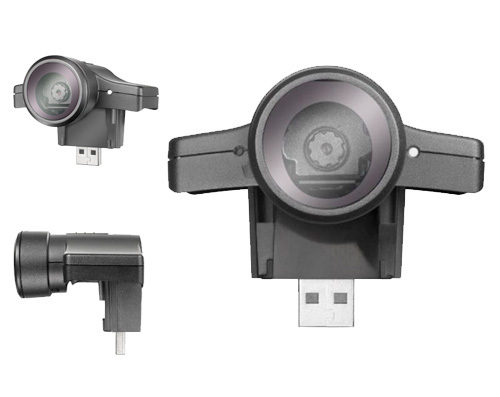 The VVX webcam connects to VVX 501 or 601 phones by a USB connection at the top of the phones. After installation, it can be used on any VVX 501 or 601 with UCv4.1.6 or later firmware. It includes a built-in cover to block unwanted video transmissions, and has a built-in tilt adjustment.